Karen Hansen's richly anecdotal narrative explores the textured community lives of New England's working women and men—both white and black—n the half century before the Civil War. Her use of diaries, letters, and autobiographies brings their voices to life, making this study an extraordinary combination of historical research and sociological interpretation. Hansen challenges conventional notions that women were largely relegated to a private realm and men to a public one. A third dimension—the social sphere—also existed and was a critical meeting ground for both genders. In the social worlds of love, livelihood, gossip, friendship, and mutual assistance, working people crossed ideological gender boundaries. 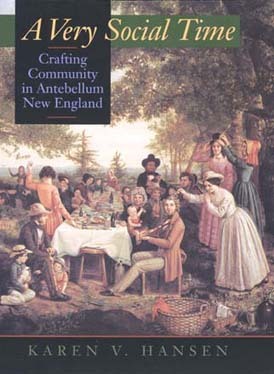 The book's rare collection of original writings reinforces Hansen's arguments and also provides an intimate glimpse into antebellum New England life. Karen V. Hansen is Assistant Professor of Sociology at Brandeis University.